The biggest improvement in the sound quality of the Klipsch Heritage series is to replace the stock K400 or K500 midrange "squawker" horn with a better one. At this time the choices are very limited. I know of only two good options. The first, if you are up to some woodworking, is the Eliptrac 400 2-inch elliptic wood tractrix. This horn will require a 2-inch driver or an adaptor to continue using the Klipsch K55 driver. Here are the actual assembly instructions for the kit. The kit is available from Dave Harris. 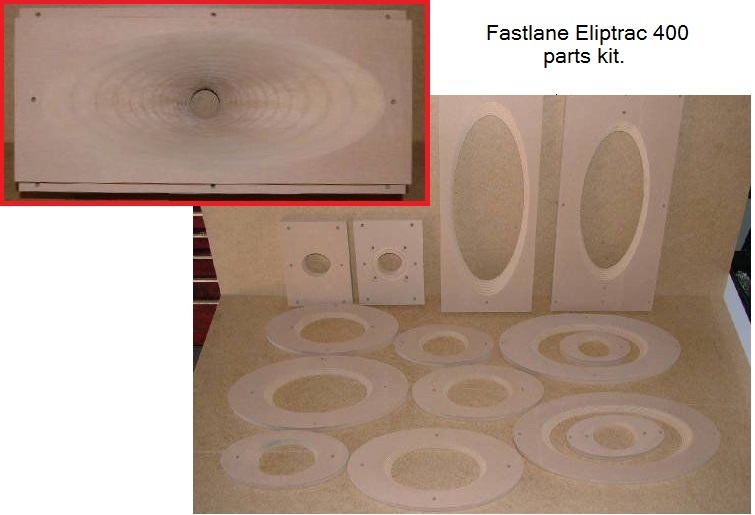 Email Dave at: fastlaneaudio@aol.com for pricing and to order. 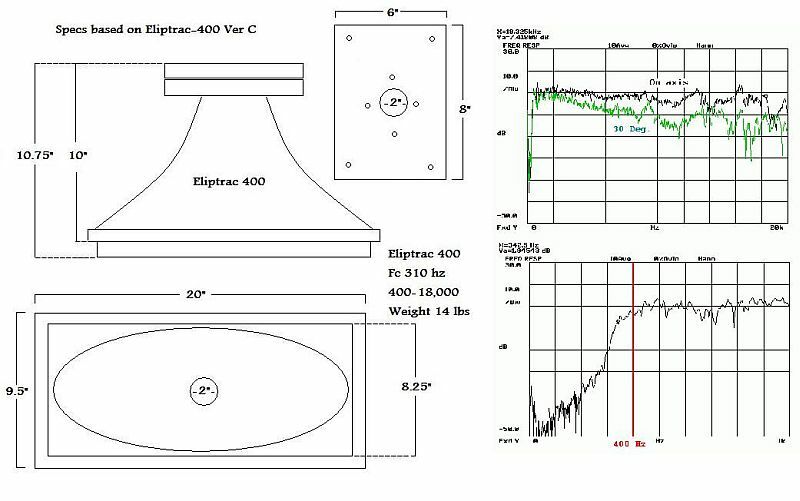 The Eliptrac 400 is a 2-Inch horn. 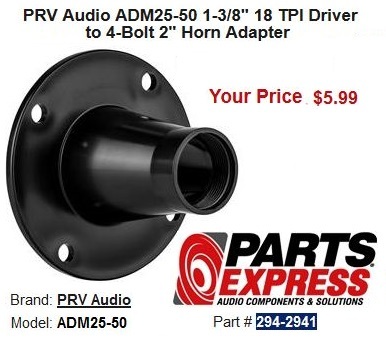 This adaptor from Parts Express will allow the stock K55 driver to be used. 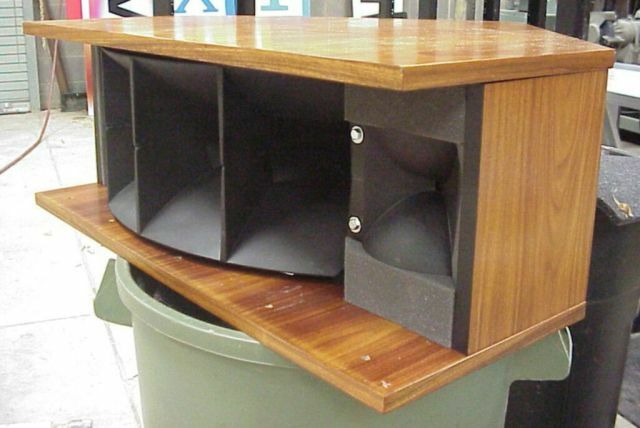 The venerable old Altec 811b and 511b "Voice of the Theater" horns are no longer made but can be found on eBay. These are 1-inch horns and will require an inexpensive adaptor to use the Klipsch K55V squawker driver. They are MUCH better sounding horns than the stock horn! 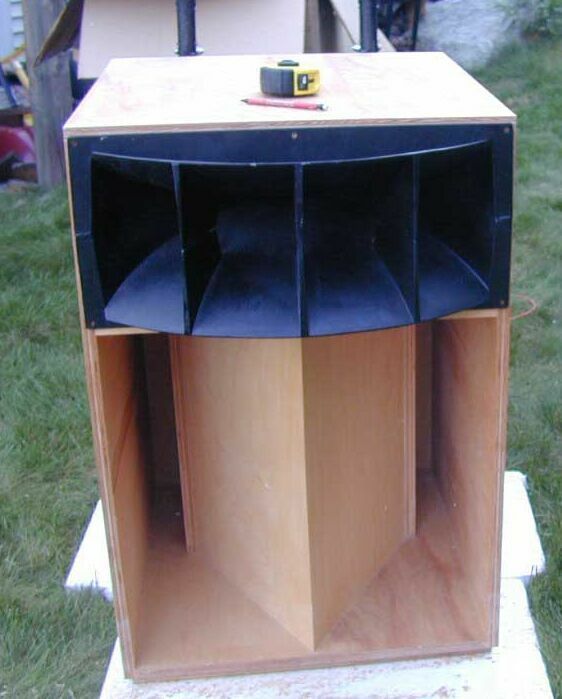 About the crossovers with the VOT horns: These horns were designed to be crossed over a bit higher than they will need to be when used in Klipsch speakers. Both the 811b and 511b will operate nicely below their rated lower limit but should be used with extreme slope networks. The ES400 is recommended for use with the 511b in the Klipschorn. The 811b should be used with the ES700 crossover. About drivers with the VOT horns: These horns have a 1-Inch diameter throat. The only drivers that will operate down to 400 Hz in the Klipschorn (511b) are the Klipsch K55, the A55G and the JBL 2470 with its original phenolic diaphragm. In the Belle Klipsch or LaScala (811b), the JBL 2426 can be used. 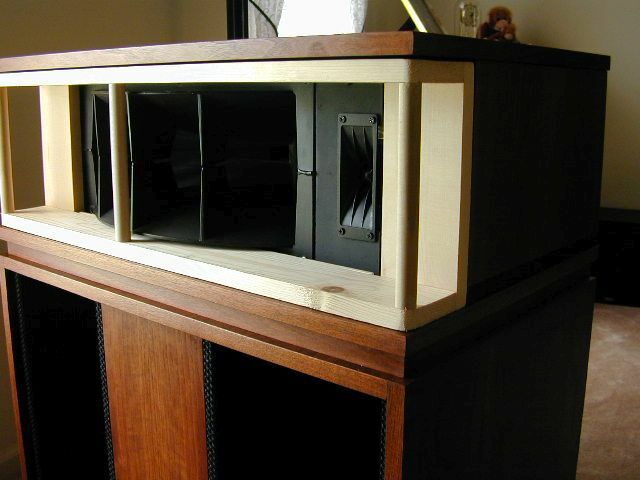 Here's a few examples of "VOT" horns installed in Klipsch speakers. 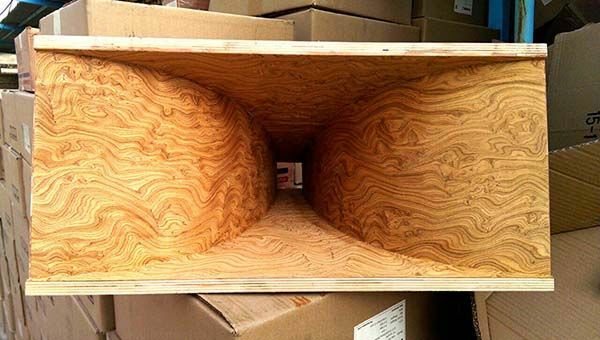 The least expensive option is to add damping material to the OUTSIDE of the midrange horn. You wouldn't think this would make any difference, but it DOES! The material is stick on asphalt sheets available from automotive parts stores like Pep Boys or AutoZone. The best known brand is called Dynamat. It helps on any horn, even the Altec VOT horns. The aggressive option: Make your own Bruce Edgar Tractrix horn! The Edgar horns sound much better then the stock Klipsch squawker horns. A free Windows Edgar horn design program. Trachorn.exe program has several command line options. Enter a new length in Inches to see the effect on the horn throat. It's not good for anything practical as you want a perfectly square throat. (S)-Square adjusts the length to return to a square throat. (F)-File generates a text file (trachorn.txt) that tabulates the dimension X and W/2 dimensions describing the curved sides and dimensions required to make the assembly jig. (M)-Macro will generate a macro file for either (A)-AutoDADD or (G)-General cad to make a precise template of the curved sides. (Enter) will exit the program. The program also gives the horn low end cut-off frequency and the thickness of the motor board that correctly tapers the square throat of the horn down to a round hole for the driver.